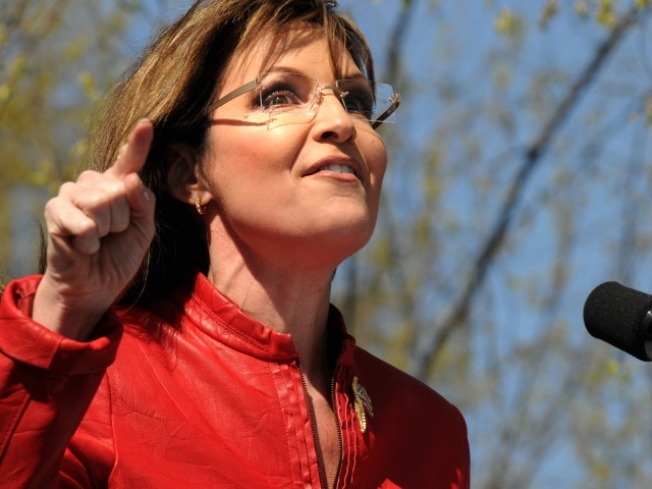 Sarah Palin is portraying herself as the Mama Bear of the GOP. It's been nearly two years since Sarah Palin became a national figure and quickly made an impression via a couple of self-defining phrases: "hockey mom" and "pitbull with lipstick." Both instantly became part of the popular vernacular and, like her or not, for good reason: they were pithy, catchy and built for mass appeal. With the anniversary of Palin's history-making nod as the first woman to join a GOP presidential ticket approaching, the political pit bull has begun carving out a new anthropomorphic identity: leader of the "Mama Grizzlies." But Palin's new catchphrase, splashed in a YouTube video put out by her political action committee, SarahPAC, may prove too much to bear – even for some supporters. In an extraordinary exchange on "The O'Reilly Factor" late last week, host Bill O'Reilly became visibly frustrated as he pressed fellow Fox News employee Palin for details on her immigration reform plan – and all but mocked the "Mama Grizzlies" movement. The surprising nature of the clash aside, the exchange underscored a growing question: when will Palin begin telling us, in detail, what she stands for instead of defining herself largely by what she rails against. "Hockey mom" and "pitbull with lipstick" may have been effective as a fast introduction for a virtual unknown thrust into the endgame of a national campaign in a John McCain "Hail Mary" pass he's likely come to regret. But two years later, the search for substance continues, as Palin mounts an all-but-declared 2012 presidential campaign. The YouTube video is essentially a political ad, but it's hard to tell exactly what Palin is pitching in the one-minute, 50-second spot. She calls for change and notes that more conservative women are becoming politically active. But she mostly offers odes to motherhood (“Moms just kinda know when something’s wrong”) amid footage of her and women at various rallies holding signs like “Annoy Liberal (sic), Work Hard & Pay Your Own Bills” or just generally looking mom-like. Perhaps the bigger problem with Palin’s new tack is that while image of the mama grizzly protecting her cubs is powerful, it's basically a defensive posture. The phrase offers little in the way of promising innovation, ideas and leadership. Asked by O'Reilly to spell out the Mama Grizzly message, Palin rambled a bit, but ultimately turned to the familiar Democratic-bogeyman attack. It's been a while since Palin faced any kind of direct, critical questioning by the press. Her gig on Fox, until her uncomfortable interview with O'Reilly, has given her a platform to campaign, virtually unchallenged. She otherwise communicates through speeches to friendly audiences and statements put on her Facebook page. It's worth noting Palin’s minions posted the "Mama Grizzlies" video on YouTube – and disabled the comments section. It also worth noting that, as of Sunday evening, the video had received a respectable, but hardly viral 325,000 hits – compared to the 1.85 million fans her Facebook page commands. In 1984, well before the Internet Age, former Vice President Walter Mondale, a professed hater of microphones, scored some rare rhetorical points against Sen. Gary Hart, then a Democratic presidential primary rival, with a catchphrase that wasn't his own. It's a question that might well be asked of catchphrase-happy Palin, whose vague and pandering Mama Grizzly strategy might very well come back to bite her.